Uprising. Does that ring a bell? Most young Slovaks will probably think about the popular reggae festival which takes place at the lakeside of the recreation area Zlate Piesky on the outskirts of Bratislava. It is not a coincidence that the festival starts near the date of the anniversary of the Slovak National Uprising, one of the most important events in the Slovak history. Slovak National Uprising or the SNP (Slovenské národné povstanie) was an armed resistance organized by Slovaks during WW2. It started on the 29th of August 1944 and it aimed to end the Nazi occupation of the country and took down the pro Nazi puppet government of Jozef Tiso. Like many topics in Slovakia also SNP is a polarizing one, which leads to endless public arguments. In 2015 during the anniversary of the SNP the leader of the far right political party LSNS displayed a black flag at the headquarters of Banská Bystrica county. This was a clear message that for the ultra nationalist and present day political far right. The SNP is a black day in our history according to them those who joined and supported the uprising betrayed this nation and the first “independent” Slovakia under Jozef Tiso. In their interpretation the SNP was no more than a bolshevik coup. Involvement of the communist party and Soviet union is clear, however there were various other entities across all political spectrum and social classes actively involved in the SNP. The communist regime also tried to hijack the SNP to serve it`s own purpose and presented it as a flawless event fully orchestrated by the communists. Many opinions tend to be very biased and the realistic and pragmatic view is often forgotten. Although the final outcome of the uprising was rather unsuccessful and in most of its parts it was suppressed, it played a crucial role in determining the position of Slovaks in the post-war negotiations. The position of a country where the population stood up against the brutal power of Nazi Germany. On the other hand the immediate aftermath of the SNP - the German counteroffensive was very brutal. Eight German divisions aided by the Slovak Nazi soldiers swept across the rebel held territories and got hold of the strategic areas of central Slovakia where the core of Uprising formed around Banská Bystrica. The official strategy of the uprising has since changed to guerilla war fought mostly by the so called partisans, hiding in the mountainous areas and deep forests, depending on the vital help of people from nearby villages. Unfortunately the aid to the partisans became an official reason and excuse for the Nazis to punish Slovaks for the uprising in an extremely brutal way. Ninety-three villages were largely destroyed. Today many of the important places of the SNP are reminded to us by memorials. Perhaps the most fascinating one can be found in the heart of the uprising in Banská Bystrica. A monumental building is split in two halves like a symbol of two opposing forces. The memorial includes a museum and outdoor exhibition of cannons, tanks, airplane and one specialty - one of three armored trains used by the rebels. 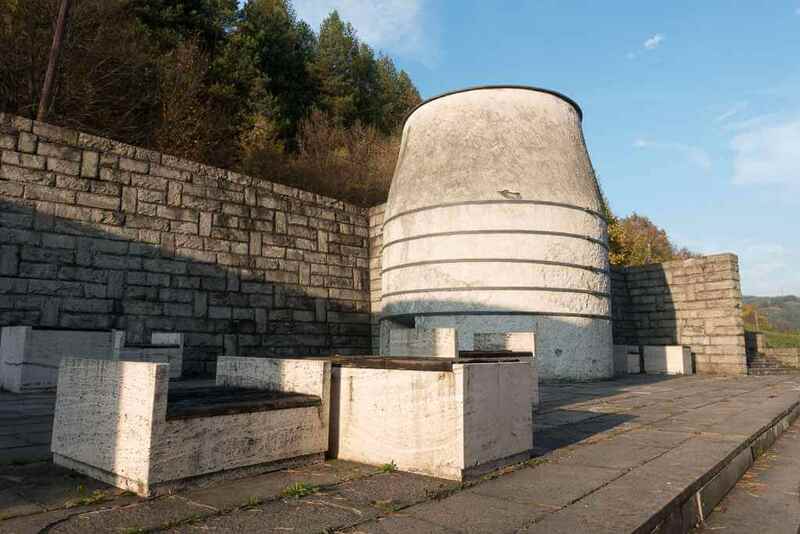 Another important but haunting memorial can be found in the Low Tatra Mountains not far from Banská Bystrica, in former village Kalište. During the counteroffensive against partisans and their supporters the Nazis surprised the villagers and at the night executed most of them and burned their houses to the ground. Only two houses remained standing and from the rest that were left in ashes we can still see their foundations. 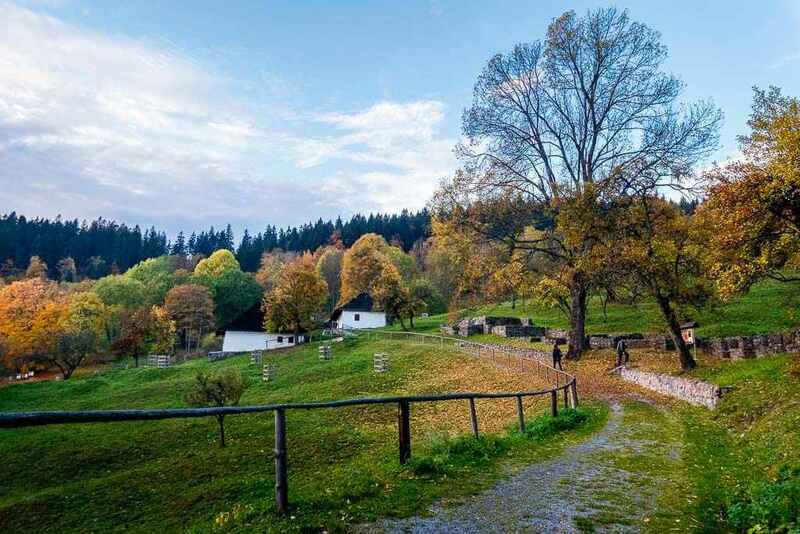 Very similar unfortunate events unfolded also in the village Kľak where most of the inhabitants including 40 children were brutally tortured and some of them burned alive by the Nazis and their Slovak collaborators. All 132 houses were burned down. Today this brutal massacre is reminded to us by the mass graves and memorials in Kľak and nearby Ostrý Grúň. These war crimes were carried out by the infamous division SS Edelweiss where 130 Slovaks from POHG were also its members. Other tragic events reminded to us by a memorials of the massacres in Kremnička and Nemecká. It was a series of mass executions in which almost 2000 people found their death. From these at least 900 were cremated in the furnace of the local lime works in an attempt to cover up the evidence of the massacre. In terms of number of casualties this remains the most tragic event from the era of punishment of the Uprising. Most of the victims were participants of the uprising transported from the prison in Banská Bystrica, their families, villagers and ethnic minorities such as jews and gypsies. The whole country is scattered with many places connected to the events of uprising and many of them are marked with memorials. These memorials are reminding us the struggle against a brutal oppressive regime but also serve as a reminder of the bitter fact that the collaborators did not hesitate to turn the weapons against its own people in many cases. 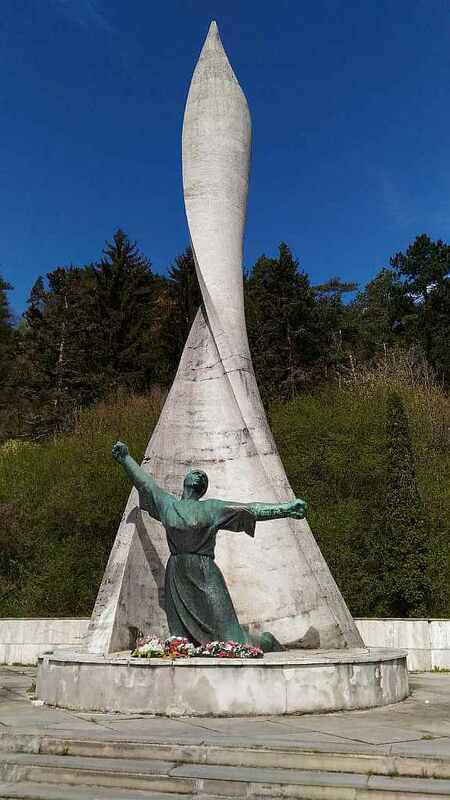 Slovak National Uprising memorials are some of the destinations during our 2-day Slovakia Explorer Tour.